1.1 What is a Sector? 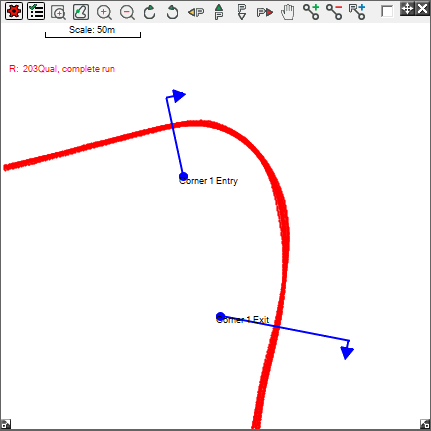 This guide is assuming you all ready know how to set up track markers. Once a sector has been defined, it will be annotated on the track map as shown above. 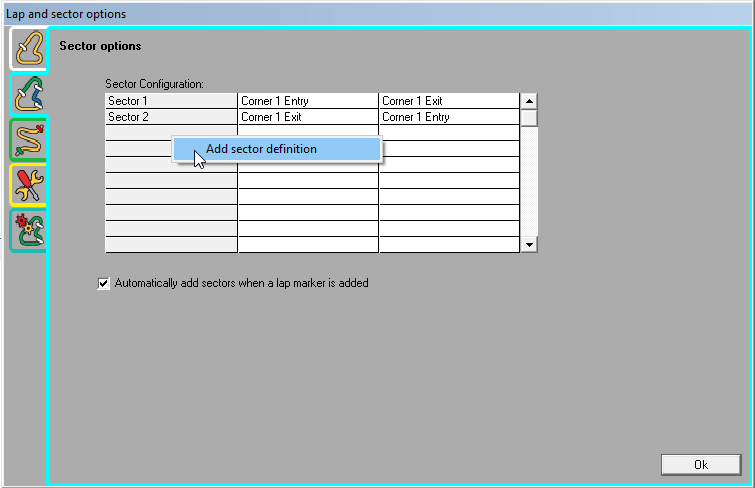 To define your sectors, open up the Lap And Sector Options and go to the Sector options tab. Under the Sector Configuration heading will be the currently existing sectors. Fill in the Sector Name field to what you want to call the sector, and then choose which track markers you want the sector to be between. Click OK to finalise your decision, then repeat until you've labelled all your sectors. You can also click on an existing sector to rename or delete it. 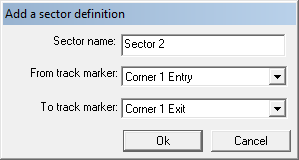 When you click on the Sector Name on the left, you can choose to Edit or Delete the Sector Definition.